Been traveling a lot this season … just over 12,000 miles to be exact! 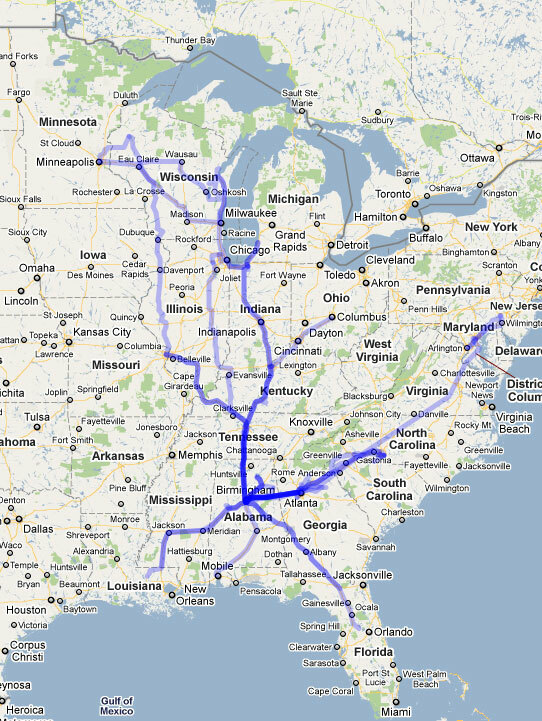 Check out the map of all the places we have driven with one flight shown as well from Birmingham to Baltimore. 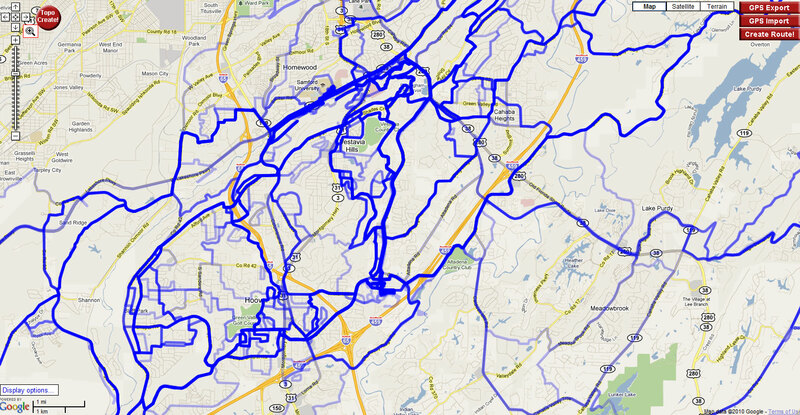 This entry was posted in Misc, Racing, Training and tagged commute, map on August 8, 2010 by kartoone. Since it has been a little over 14 months since my last crash, I thought I would go out and wreck my bike today. Well, OK, that’s not exactly why I fell off my bike going 25mph, but the end result is the same! Here’s how it all played out: I left my house for a 50 mile training ride armed with three bottles for the heat. I made it about 10 miles just past Liberty Park on Sicard Hollow when I noticed that my rear tire was nearly flat. Fortunately, another rider was stopped on the side of the road making a phone call, and he offered me his pump since I wasn’t sure if there was much CO2 left in my CO2 cartridge that had already been used once or twice. I quickly changed the tube, putting in my spare which I knew had a slow leak in it, pumped everything back up, and rode straight home to put in a better tube. I also decided to put on a new tire that I had bought a while back and not used yet. 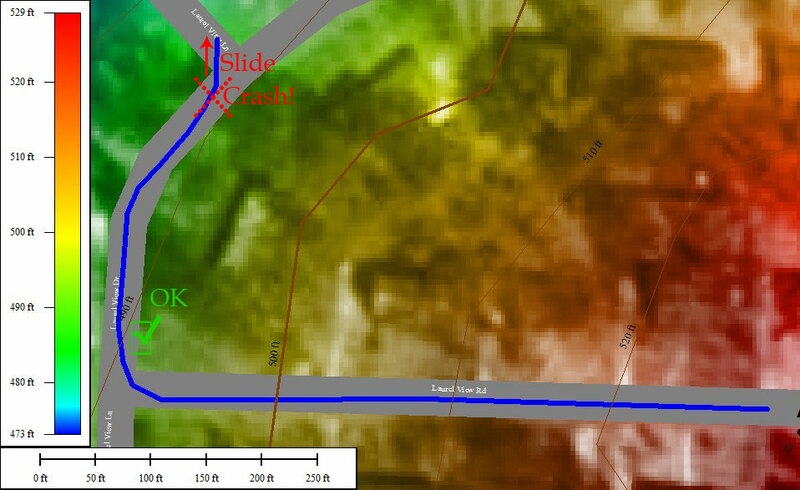 This entry was posted in Misc and tagged crash, map on June 24, 2009 by kartoone.